The slow start in Sydney a week ago is now a distant memory after Britain?s riders came storming out of the blocks on the opening night in Beijing. British riders won medals in all the events they entered ? with gold for Bradley Wiggins in the individual pursuit, silver for Victoria Pendleton, Chris Newton and Rebecca Romero and bronze for the team sprinters. ?That was more like it,? said performance director David Brailsford. But he said that he feels there’s still much more to come and that when the team returns to the LaoShan velodrome in August the British will be at their peak. Riding for T-Mobile, Wiggins was expected to win the individual pursuit and after doing a 4-22 in qualifying and a 4-25 in the final against Ukraine?s Volodymyr Dyudya, he?ll know he?s on course for the Olympics, but that there?s a lot more to come. 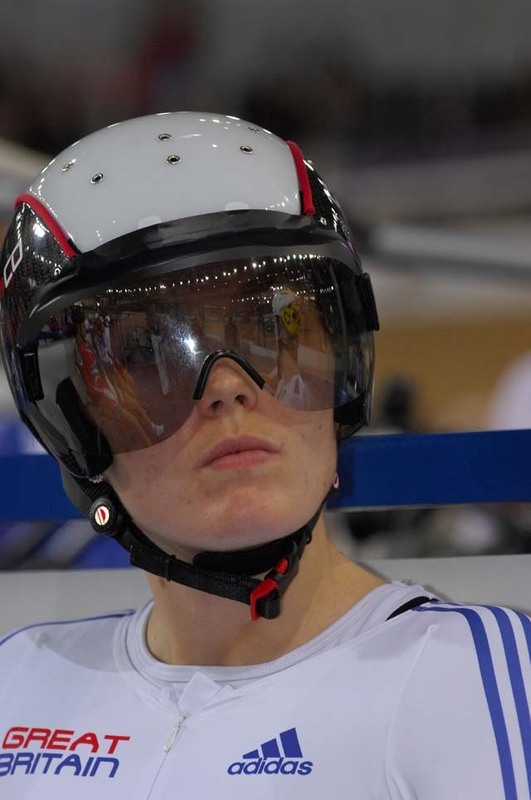 Victoria Pendleton, who showed tremendous powers of recovery to take the Keirin after a disappointing quarter-final exit from the sprint in Sydney at the hands of Natallia Tsylinskaya of Belarus, stepped up another level. After cruising through to the final she came up against Tsylinskaya, and again lost in two straight races. Rebecca Romero is another who enjoyed a much better night than last week. After finishing eighth in Sydney she set the second fastest qualifying time today to earn a ride against Katie Mactier of Australia in the final. The Aussie had a little too much but a silver medal for Romero was a fine result. Chris Newton (Recycling.co.uk) raced aggressively throughout the points race to secure a silver and take a huge step towards qualification for the Olympic Games. And the team sprint trio of Chris Hoy, Craig MacLean and Jason Queally grabbed bronze against Team Toshiba after being edged out of the gold medal race by the Dutch and the French. 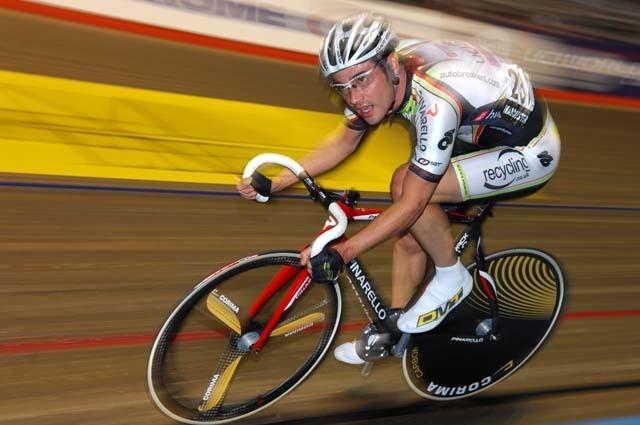 Bradley Wiggins (T-Mobile) was fastest in qualifying, clocking a 4-22 when put up against Spaniard Toni Tauler in qualifying. Steve Cummings (Great Britain) was 11th. True to form, Wiggins clinched the final, starting steadily but winding it up and reeling in the Ukrainian Dyudya. A tremendous ride by Rebecca Romero (Great Britain) saw her finish second in qualifying with a time of 3-37.079. Wendy Houvenaghel finished seventh but was only just over a second outside of the top four, showing how tight the women?s pursuit competitions have become. In the final, Romero came up against Katie Mactier, the Australian who won the pursuit in Sydney last week. Mactier took it by almost three seconds. There were three British riders in the final ? but it was Chris Newton who gave the best performance, winning two sprints on his way to the silver medal behind former Olympic champion Llaneras. Rob Hayles (Great Britain) and Ben Swift (Team 100% Me) were 21st and 22nd respectively. Newton (Recycling.co.uk) qualified comfortably from his heat, finishing fourth behind Belgian Six-Day star Iljo Keisse, Greg Henderson of New Zealand and Japan?s Makato Iljima. Newton scored in all but the first of six sprints during the 60-lap race and took fourth over the finish line. Swift did even better ? winning his heat by a point from Peter Schep of Holland. Swift got off to a flyer, winning the first sprint and then taking the fifth to secure the win. Hayles (Great Britain) left it late but made sure there would be three British riders in the final by squeezing through in eighth place in his heat. Six riders took a lap, making it a high-scoring heat, but Hayles won the sixth sprint and finished first on the finish line to make sure. Great Britain?s trio of Chris Hoy, Craig MacLean and Jason Queally qualified third, with the Science In Sport team of Matthew Crampton, Ross Edgar and Jamie Staff in tenth. In the bronze medal match, the British squad had the measure of the Team Toshiba line-up of Daniel Ellis, Shane John Kelly and Scott Sunderland. Victoria Pendleton (Science In Sport) qualified fastest in the sprint, ahead of Simona Krupeckaite of Lithuania. Anna Blyth (Great Britain) was 16th, just making the ?B? competition, but she lost in the quarter-finals of it to Yvonne Hijgenaar of Holland. Pendleton eased into the semi-finals, beating Lisandra Guerra Rodriguez in straight races. The Cuban was relegated in the first match for moving off her line. In the semis, Pendleton beat Anna Meares (Australia) 2-0 to set up a revenge match against Natallia Tsylinskaya who knocked her out of the quarter-finals in Sydney a week ago. But again the Belarussian had the better of Pendleton, winning 2-0.